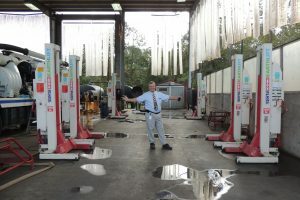 Bob Graden, the Vac-Con plant manager at the Green Cove Springs, FL plant, standing with six Stertil-Koni EARTHLIFT mobile column lifts. 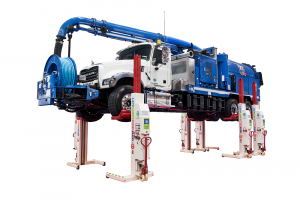 A Vac-Con truck sits atop mobile column lifts. 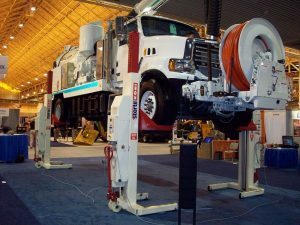 Stertil-Koni and Vac-Con often partner at trade shows across the country.